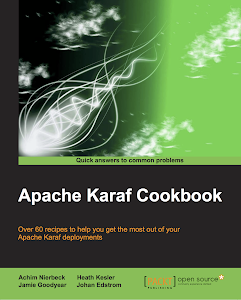 I tend to like trying out Karaf on platforms I usually do not use on a daily basis. 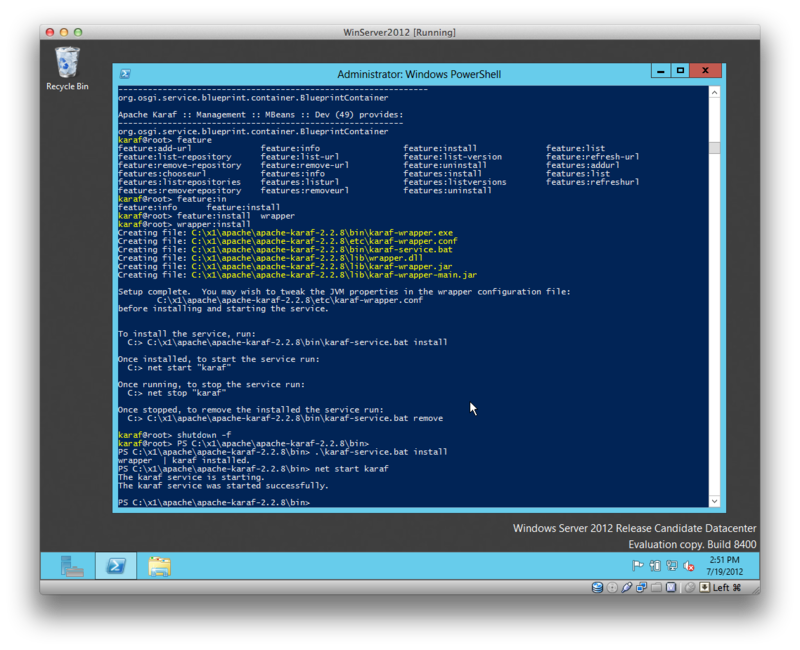 Today I tried out Windows Server 2012 (DataCenter Edition RC). 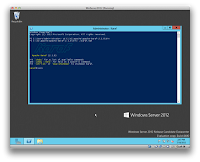 The Windows Server 2012 RC is available as tech preview at TechNet preview centre. 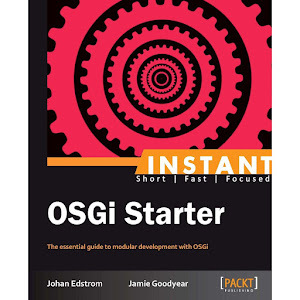 Just sign up for the trial version, download the ISO, and you're ready to test out the server OS. 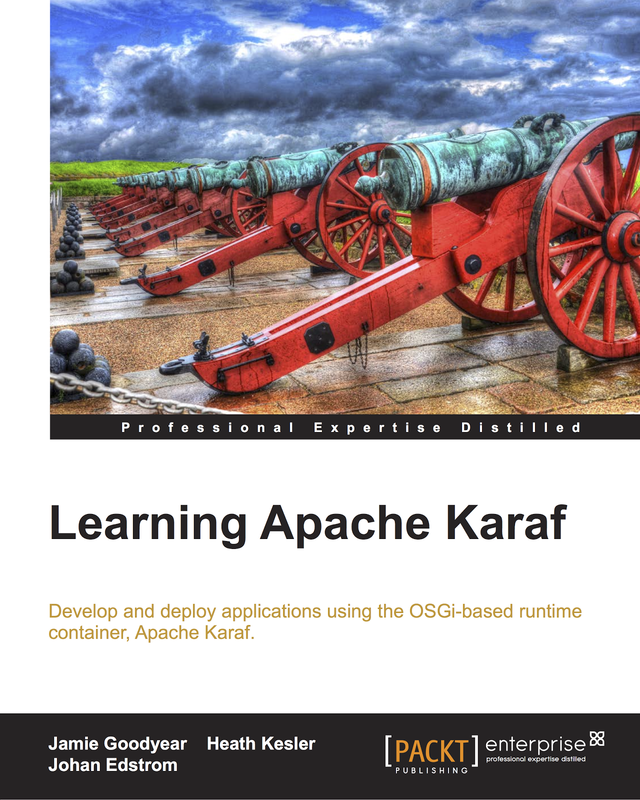 To validate that Apache Karaf would function on the platform I downloaded Oracle Java 1.6.0, Apache Maven 2.2.1, and Karaf 2.2.8 from our project website. 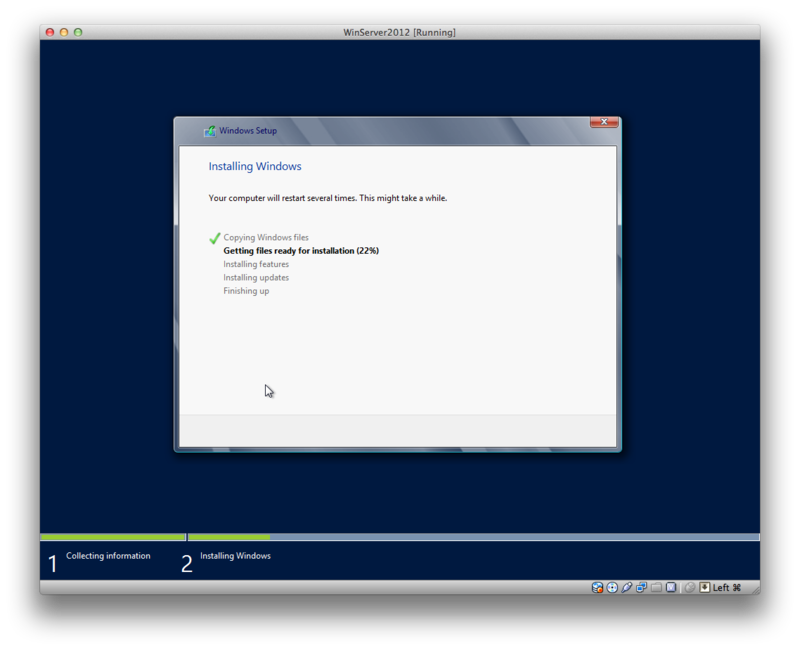 Before testing Karaf, I added JAVA_HOME and MVN_HOME variables to my environment then I opened a fresh shell. 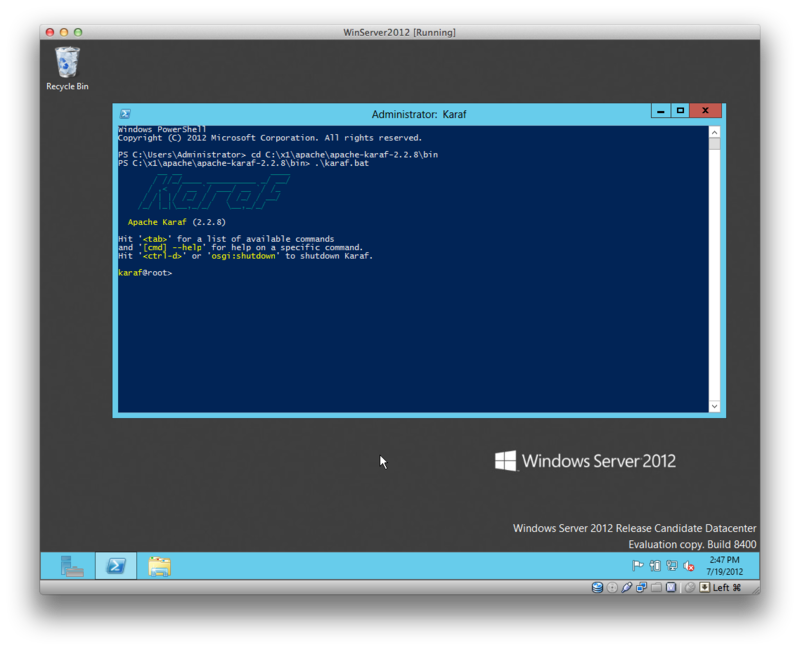 Executing the KARAF_HOME\bin\karaf.bat script brought Karaf to life on the console. I tried out several commands, tab completion, and other features to verify that my console session was truly interactive. Seeing that basic functionality appeared to be stable, I then tested out native OS integration by installing the service wrapper. use 'net stop "karaf"' to stop Karaf. 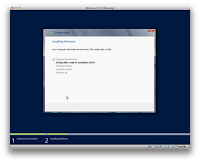 Seeing that Windows Server 2012 is still in its early access beta program it was nice to see Karaf's service integration work right out of the box. 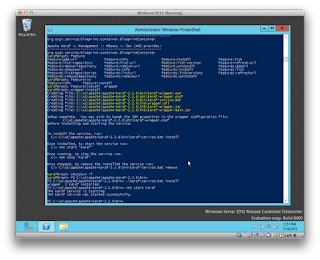 I'll be playing around with my evaluation copy of Windows Server 2012 for next while, so expect to see a few more posts as I try out various Apache projects on the platform.